Well, this is a piece of cake. It’s very simple. Why is your closet full? Well, it’s because no space is available within it. When your startup disk is full, it means, it almost has no space within it. It is recommended that your hard disk, especially your startup disk, should not have more than 85% of it occupied. If this happens, your Mac device will slow down. Plus, you will get errors like our problem right now, a startup disk is full. If your Mac states that your startup disk is full, you have a serious issue at hand. What you need to do is to free up more space within your hard disk drive that contains the operating system. Thus, this article is going to tell you what is a full startup disk and how to fix it. So, first, we have to say what a startup disk is. Well, a startup disk is a partition or volume of a specific drive that is comprised, partly, of an operating system that is usable. Are you still confused about what this means? Well, let’s put it into different understandable parts. Your hard disk drive is contained in your Mac device. This hard disk drive is composed of partitions (or disks). Each partition (or disk) contains the data of your Mac device. The data might be files, operating systems, applications, etc. A lot of Mac users own more than one disk drive. However, some might only have one. 1. Here’s a short version, you should check out your Mac under the hood. Before we check out what’s taking up space within your Mac device, we have to locate a disk drive first. Step 01 - Go towards the Dock located at the screen’s bottom area. Step 02 - Launch Finder. Step 03 - Press Finder located within the menu bar. The menu bar is located at the screen’s top part. Step 04 - Choose Preferences. Step 05 - A window will be opened. Check out the checkbox that states Hard Disks. After you have ticked the box, the desktop will display icons of your Mac’s hard disks. These are actual disks within your Mac device that you utilize as a startup. They become startup disks due to the fact that they contain operating systems like OS X El Capitan or macOS High Sierra within them. If it shows more than one icon of hard disk drives within your Mac device, it means you have more than one hard disks within your Mac. But, if you have one hard disk drive only, skip the next part and move on to the part that says, “What is actually taking up a lot of my disk space in my startup drive?” section. Step 01 - Go to the screen’s left side and press the icon of Apple. Step 03 - Press Startup Disk. Within here, you will see the multiple hard disks that you have. These might be named main HD or main SSD. But, this is not always the case. The operating system (OS) and the actual version number of that operating system will also be displayed. If you have multiple OS drives, the startup disk should be the actual one that contains the most recent version of the Mac operating system that’s running within it. But, we still have to make sure of it with the step that follows. Step 01 - Press the icon of Apple (top-left). Step 03 - Under the label of your operating system, you will see a version number such as 10.13.2 or so. 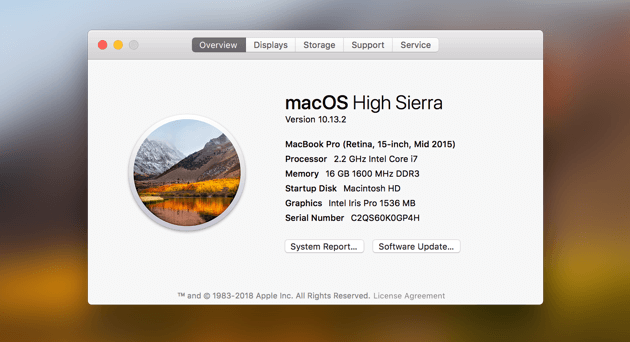 Once you see your version number shown within About This Mac, you will check if it will match the number in the section of the Startup Disk. If it matches, then it means, that is your actual startup disk. 4. So, what is actually taking up a lot of my disk space in my startup drive? Well, now that you know which is your actual startup disk, let’s check out what causes our disk to be full. Where has this free space gone to? Step 01 - Press the icon of Apple. Step 02 - Select About This Mac. Step 03 - Press Storage. Take note that if you are currently using an older version of the Mac operating system, you have to click More Info first before clicking Storage. Step 04 - Now, check out your storage. It says how many GB or TB you have in your device and how many of it is used up. So, what’s the size of your hard disk drive? Plus, check out the free space you have left. Check out which type of files (or data) is eating up most of the space you have. You should always consider that capacity of your hard drive and the data storage you need for future plans of storage. You have to know that we’re not just putting up this guide to help you repair the problem you have at present. We’re here to ensure that you don’t experience this problem again in the future. Now that you know more about startup disks and how they become full, it’s high time to do the things you need to do to fix the problem. Let’s check out how to fix the full startup disk in the next section. * It helps speed up your Mac device by freeing up more space within it. * It has a very powerful scanning feature that helps search for duplicate files, junk files, system files, clutter, etc. * Each scanned result can be filtered and sorted depending on factors such as size, time, date, etc. Download FoneDog Mac Cleaner and launch it. Check the system status since you have run the tool on your Mac. Choose iTunes Junk under Cleaner. Then, click the circle "Scan" button, and wait for a while. When the scanning step is completed, you can click the "View" button to review the scan results. Or you can hit "Re-scan" to scan your iMac/MacBook/MacAir again. 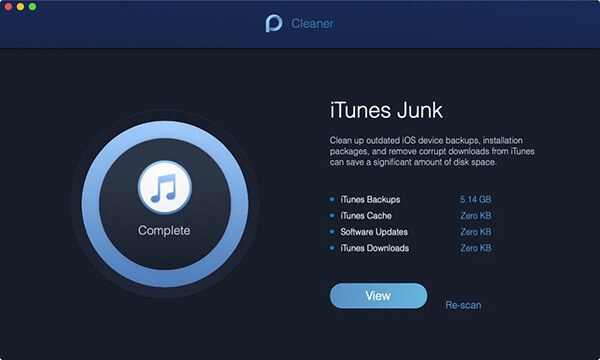 Note: Steps to clean in iTunes Junk are similar to those of other functions under Cleaner. 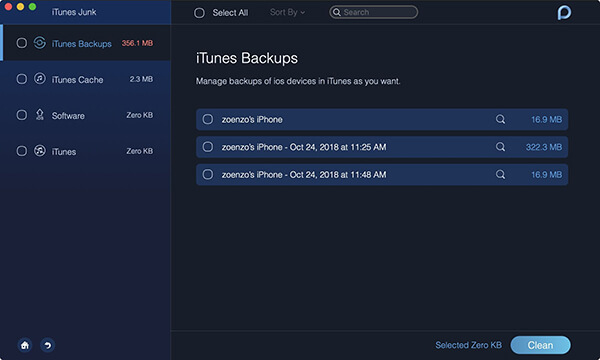 Move your mouse to a category like "iTunes Backups", the detail data for the category are shown in the right table. Choose them you want to clean, and then you can delete them by clicking the "Clean" button. Press on the Confirm button after you decided to clean the items you chose just now. Please be patient to wait for the cleaning process later. Let’s scour through multiple ways you can actually implement to fix that a startup disk is full. The methods outlined below will help you get an overview of how to fix it. It might be able to solve other problems too. Let’s get started! One type of file, a cache file, is used to support your Mac device in order for it to run faster. This also helps in making the programs run smoothly. Cache files are similar to the blueprints of an actual house. These cache files are blueprints for the Mac device that shows how a particular program runs, loads, and looks. In this way, the program runs faster. Without the cache files, programs, like buildings, will start from scratch. Although, after some period of time, cache files can accumulate and take up a lot of space. That’s why deleting them can free up more space on your device. Don’t worry about deleting them. Once they are removed from the Mac, the device creates new cache files when you actually restart your Mac. Step 02 - Go to the menu bar. Step 03 - Select Go. Step 04 - Press Go To Folder. Step 06 - Remove or clean up folders that eat up the most space. Step 08 - Press Go To Folder again. Step 09 - Type out /Library/Caches (without the tilde [~] symbol). Step 10 - Again, delete or clean up the folders that eat up the most space. Step 11 - Empty Trash again. Usually, cleaning up your cache files is safe. And after you actually delete these cache files, the processes and applications you load up on your Mac device will create new ones. When you actually delete these cache files, don’t think about the size you are actually deleting. You can even remove all cache files if you wish especially if you need a lot of free space. You can also check out the folder in the location /System/Library/Caches. However, it’s best not to do anything with this folder especially if you don’t know much about its contents. The best thing you can do is to use a tool -- FoneDog’s Mac Cleaner to clean up system caches. It can be done easily with a few simple clicks. And before we forget, remember to restart the Mac device after you have deleted the cache files so it can create fresh, new ones. Localization files, referred to by others as language packs, are contained within apps. And most of the time, you don’t need them because you only use one or two languages. That’s why you should remove the language packs you don’t necessarily need. Step 02 - Visit Applications. Step 03 - Right-click on an application. Or, you can press CTRL + Click. Step 04 - Choose Show Package Contents. Step 05 - Visit Contents. Step 06 - Go to Resources. Step 07 - Locate files with the ending or extension .lprof. These are the different languages that your application has within it. In cases wherein your wish to utilize another language, you can keep the .lproj with that language. Step 08 - Drag the languages you don’t need towards the Trash. Step 09 - Empty Trash. And yet again, the best solution is to use FoneDog’s Mac Cleaner. It helps you remove language packs with a few simple clicks. You don’t need to go deeper into various folders. Your Mac device will do everything for you. Step 01 - Launch Finder window. 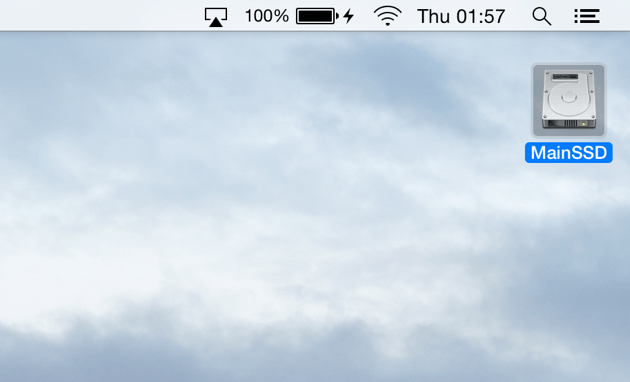 Step 02 - Go to the menu bar on the screen (top-left). Step 03 - Press Go. Step 04 - Choose Go To Folder. Step 05 - Type in ~/Music/iTunes/Previous iTunes Libraries. Step 06 - Check out the dates of the backups. Everything is dated there. Step 07 - Delete the backups, especially old ones, that you do not need. Step 06 - Delete the backups that are old and even outdated. This can help free up more space on your device. Step 05 - Type in ~/Library/iTunes/iPad Software Updates for iPad devices. Type in ~/Library/iTunes/iPhone Software Updates for iPhone devices. Step 06 - Remove and drag towards the Trash all the files that have been downloaded for these devices. Do this especially for files that you don’t use anymore. Or, you can also delete files for software that has been updated already. Always take note that if your device has already been updated, you simply don’t need the files that are outdated anymore. A lot of people and guides recommend that you remove unnecessary apps. Deleting these applications that are old and unused is one of the best ways you can do to free up more space on your Mac device. You simply have to visit the folder for Applications and drag the apps towards the Trash. Voila! You have removed them. However, this is not the actual case. When you drag the app to the Trash, it doesn’t remove it completely. A lot of leftover files of the app are left behind. That’s why uninstalling can be tricky. What you can do to make sure all leftover files are deleted is to use FoneDog’s Mac Cleaner. This tool has a module called Mac Uninstaller that allows you to delete files “completely.” It leaves nothing, even leftover files, behind. With the Mac Uninstaller, you can select the application or applications you wish to delete. You won’t have to search for related files that are left within your Mac device. FoneDog’s Mac Cleaner (or its Mac Uninstaller module) will do the cleaning for you in just a few simple clicks. Photos, you love them, don’t you? But they do take a lot of space. First, you have to simply choose the photos that you want to get rid of. These may be duplicates of the best looking version of the image. Or, it can be pictures that were taken mistakenly. For example, a photo of the ground or the ceiling. Now, after you have deleted the files, you have to clean up the system files as well. In Mac device’ Photos application, these are cache files. Within iPhoto, these are called service copies. These two can actually be hard to find. But there’s a way you can implement to get rid of these unnecessary files within your device. Photos cache are comprised of local copies in iCloud (these are formulated when you preview pictures using your photo library on iCloud within a Mac device). Faces cache (these are created when you utilize Faces), and other cache files that are related to the app. Step 02 - Navigate towards Photos library as you would normally do. This is in the folder named Pictures. Step 03 - Right-click your Photos library. You can also CTRL + click if you prefer it. Step 05 - Launch resources. Step 06 - Launch model resources. Now, you will be able to check out a number of folders within Finder. Your Photos cache is located within these folders. But, the problem is you don’t know which ones to delete and which ones to keep. If you delete the file that is necessary for the functioning of your system or Photos application, its performance will be compromised. That’s why we suggest using FoneDog’s Mac Cleaner to remove the cache. This tool only finds and deletes the files you can delete and won’t cause any issues to your device, your Photos app, or your image. Step 02 - Navigate towards iPhoto as you would normally do. This is in the folder named PIctures. Step 03 - Go to folders Master, Original, Modified, and Preview. Step 04 - Check out which specific photos still have original ones especially if they have been modified previously. It’s actually hard to tell you where to look in iPhoto because it's processing are kind of strange. Where it puts images into storage and which images are actually copies depend on you, your eyes, and your memory. Take note that if you delete the wrong files, especially the critical ones, we are not responsible. This guide is only to help you get more space. And again, it will be safer if you use FoneDog’s Mac Cleaner. Plus, it will be faster and easier. This is because the app knows which actual files are needed by the system and which are not. Check out these folders. You will be shocked as to how much files have accumulated within it especially if you don’t check it regularly. Find out the files that are not important. The important files though has to be organized. At least, you’ll know all the files in these folders and you can keep track. The folder for Movies can be frustrating. This is not because you are checking the files one by one. But, it’s because of the fact that it can be hard to select which movie to delete. However, choose the least favorite of these movies and delete them. This is necessary for you to free up more space within your Mac. If you don’t want to delete any of these movies, you can archive them instead. Delete what you don’t want and archive the files you want. Archiving is not similar to storing your Mac into a really deep folder. It’s the process of reducing the size of your file by compressing it in .zip or .rar. When you archive a file, you are making sure that it takes up less space. Step 01 - Right-click or CTRL + Click the file you wish to compress. Step 02 - Choose Compress. After which, go through your Music Folder. Locate and remove duplicate files first. After which, you can remove the songs you downloaded by mistake. Plus, remove the songs you don’t need or don’t want. Why do you need to brush up your desktop? Well, it might be because your desktop is seriously ugly and filled with a lot of icons. You simply have to remove the things you don’t need. And then, organize the things you need. Your desktop will actually look better. Plus, it will make your Mac faster. When you clean up your desktop, your Mac device won’t waste a lot of time loading up the icons and the junk within the desktop. That’s why you seriously have to sweep your desktop clean. Step 01 - Right-click or CTRL + click Trash icon. This is located within the Dock. Step 02 - Choose Empty Trash. Step 03 - Click out Empty Trash. Step 01 - Press Apple icon. Step 03 - Press Storage. If you are using older versions of the Mac OS, you might have to press More Info first. After which, press Storage. 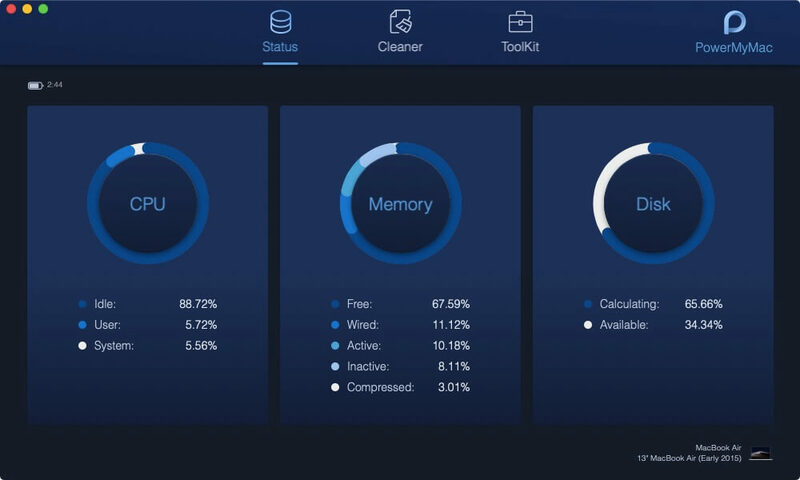 In order to prevent that a startup disk is full, you must keep your Mac clean by using FoneDog’s Mac Cleaner. It helps keep your Mac clean with just a few simple clicks. A full startup disk is nothing to worry about. 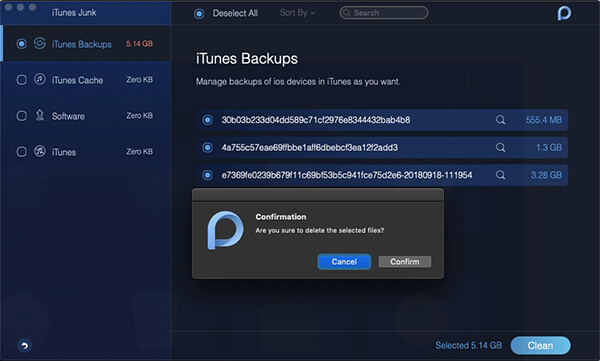 You can fix it by deleting unnecessary files within your Mac device. You can do it manually, which can be very tiring. But, you can also use FoneDog’s Mac Cleaner and use all of its modules to clean up your Mac device. In this way, you won’t get the message that states that your Mac’s startup disk is full. 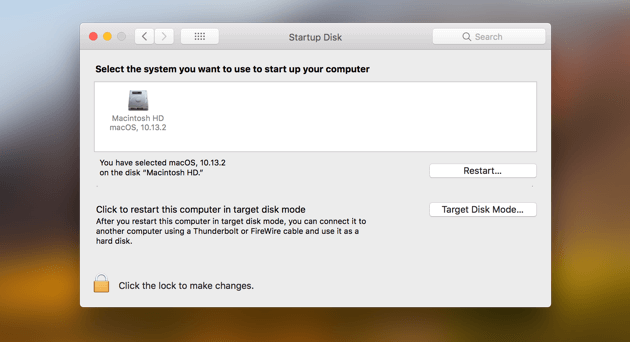 > Clean up Mac > Mac Startup Disk Is Full: What Is It And How Do I Fix This? How to Write Files to NTFS formatted External Drive? How to Uninstall Microsoft Office on Mac? How do you speed your Mac? How to Find and Delete Simiar images on Mac?